I always got confused with the rabbit evolution on the screen compared to norns back in the day, since they both had different body shapes. 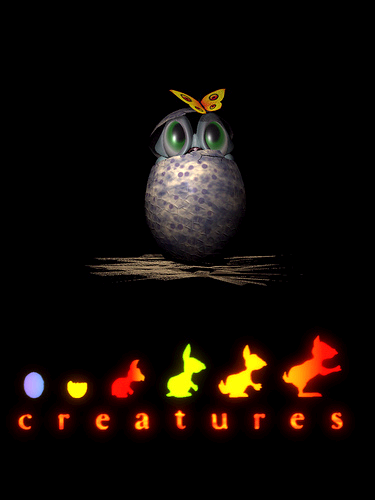 I wish they were doing Creatures Online with the 3D style of C1 or C2. The C1 intro video still gives me the shivers when I watch it. Magical. I love this one. I have such nostalgic feels about the C1 intro video. None of the other intro videos came anywhere close to setting the mood so wonderfully and simply. The C2 intro is far too sinister, and the C3/DS ones feel sort of weird and distant and have a bit of a Star Trek like feel to them.